Back in 2010, Prince chided Beyonce for her lack of musical knowledge, but was impressed that she understood something about Mixolydian scales and Egyptian styles, WTF. Basically he thought she was quite talented and gifted, but her longevity and survival depended on learning a lot more. I’m not much of a Beyonce fan, and had no interest in Lemonade. The brouhaha over “Formation” is incredibly complex, but not enough to tempt me to listen or buy the album. Visually, the video is fascinating and brilliant, transgressive and offensive. The general invisibility of trans artist Big Freedia, the politics of colorism and authenticity in the deep south, and the issues of being “woke,” played out in one area of the web, but were overlooked in another area while white people were scared of the Black Panther resurgence. That’s politically provocative, but not my musical cup of tea. These matters can be discussed without listening to the album. Ah, well. “Musically, it’s got a good beat.” Without the technical ability to interpret Beyonce’s, it’s impossible for me to value Lemonade the way it deserves. 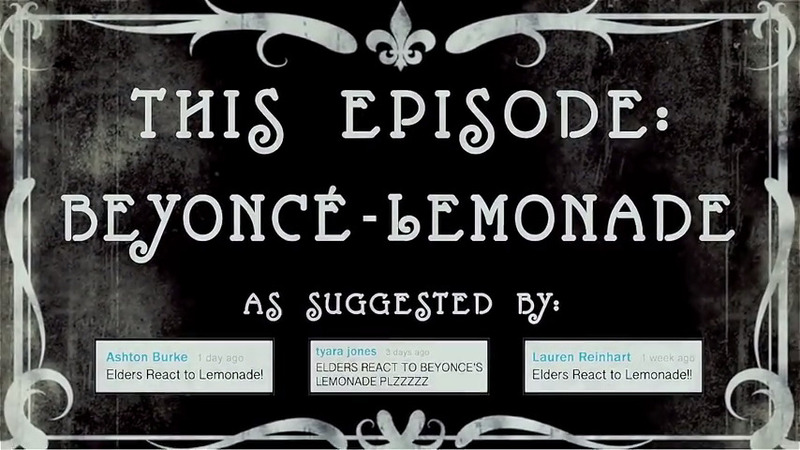 The video below about “Eders React to Beyonce” exposed me to its breadth and maturity. Lemonade is more sophisticated than the sugary R&B diva crap I’d expected. Prince was stellar at cultivating sophistication, talent, fun dance music, and complexity. That’s a deep mix. Clearly, he recognized something special in Beyonce. That's Silly! Teaching Tips TV Shows I have to Work? Obama That's Racist! Presidential Elections Women's Movement Travel Movies Baton Rouge George W. Bush Women in Pop Culture Rhinelander AKA The Wall For Wordies Rhetorical Studies Geek Culture Gratitudes Race Holidays Generation X D&D National Politics Books Sexual Politics New York City Hillary Clinton Body Politics Trivia Comm Studies War Aging Gen-Xer Media Ecology Higher Ed Music The Quotidian My Home Threes Great Quotes Louisiana How to Racism Family Rhinelander That's Sexist!